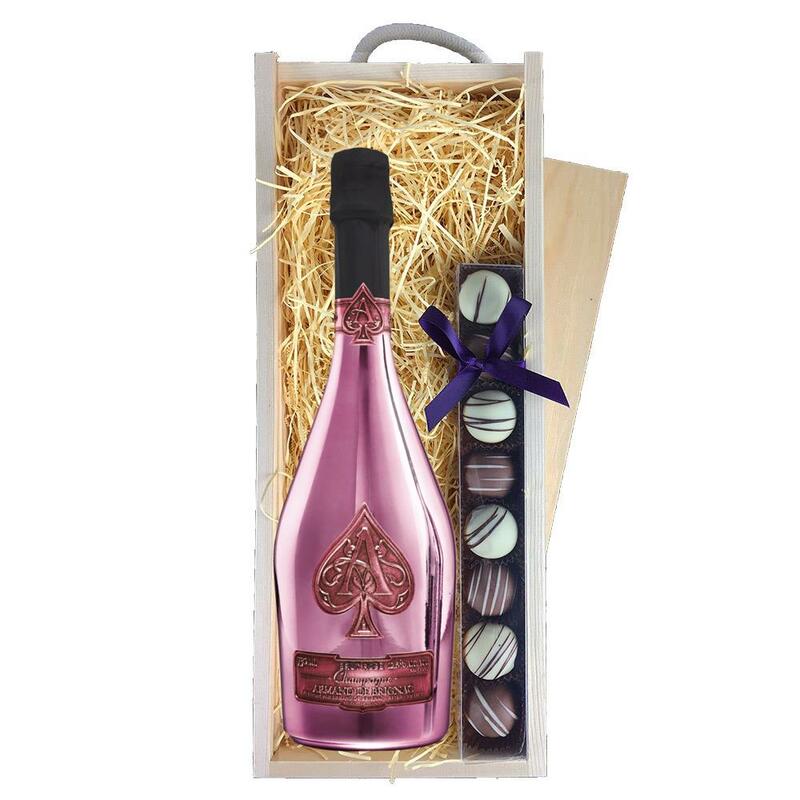 A single bottle of Armand de Brignac Brut Rose 75cl 75cl and a single strip of fine Hand Made Truffles(100g) Presented in a wooden gift box with sliding lid and lined with wood wool with a Gift Card for your personal message. 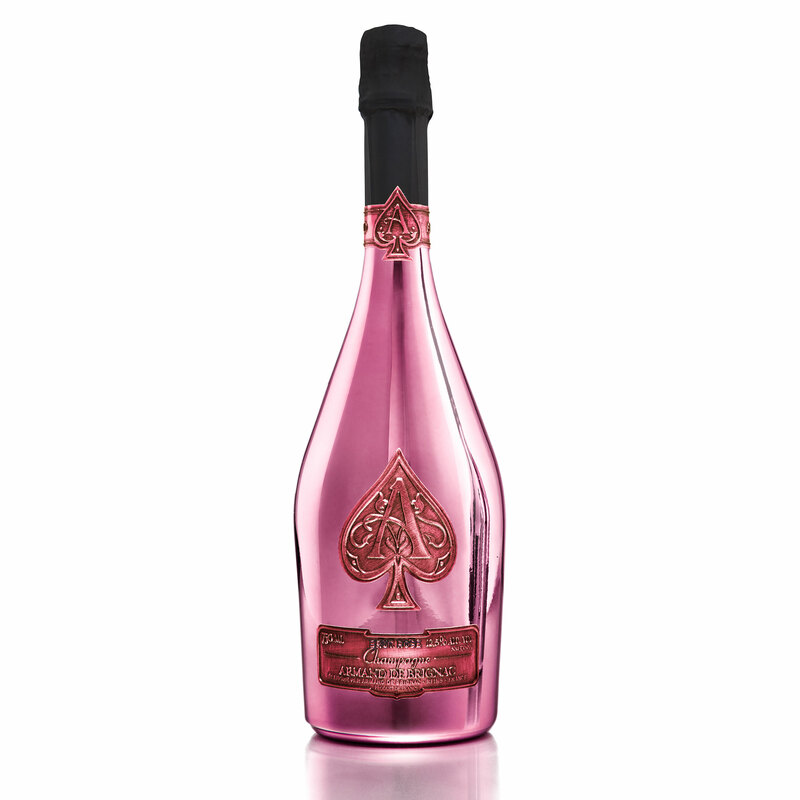 Armand de Brignac Rosé offers all the fruity freshness you would expect from a high-quality young pink bubbly. The different red berry notes are clean and inviting. All this is combined with an accentuated dash of green herbs and spices. A great alternative not only for that extra special aperitif moment, but also for thedinner table. This Rose gives the term pretty in pink a new meaning. A Must Try!